Seventh win for Price in record time! 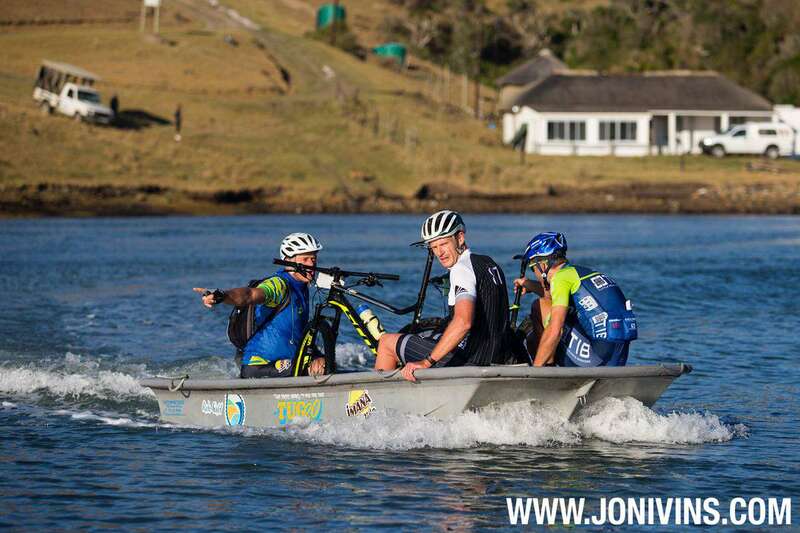 Four days of intense racing over more than 160km of rugged coastline and it was Warren Price and Andrew Hill (Safire/TIB) who took the honours at the nineteenth Imana Wild Ride which finished at Umngazi River Bungalows on Wednesday 29th August. An unprecedented collection of record days saw the course record shattered by over fifty-four minutes as the winners stopped the clock an accumulated time of eight hours, seven minutes and 19 seconds with Price claiming his seventh successive title in the company of team mate Andrew Hill. Favourable tail winds may have added to the incredible times but a bigger driving force was the pressure from the chasing team of Damon Stamp and Darren Lill (St-iLL Wild Riding) who were relentless in their pursuit of the leaders. Despite a cracked frame on day one, the formidable pair managed to take the stage win on day three and it was only a delayed ferry crossing mid-way through day four, which saw Price and Hill gaining a substantial lead, that caused the chasing pair to resign themselves to second place. 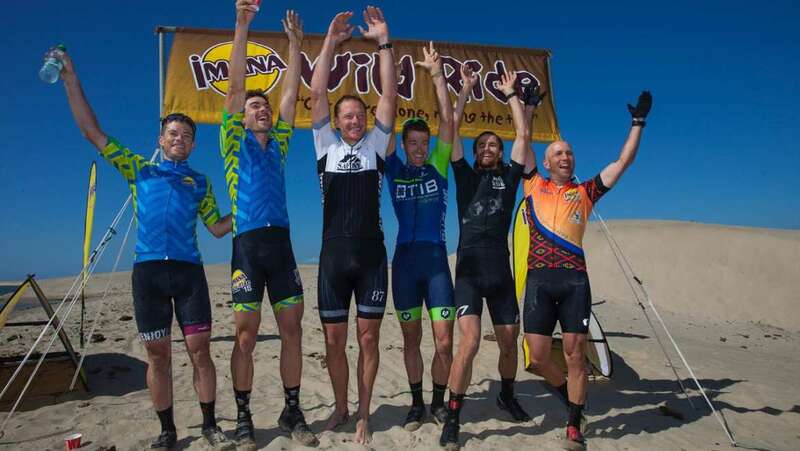 Third place was firmly held throughout the four days by race stalwart Craig Woods and Oli Munnik (Skullet), who also finished within the previous record time – a clear indication of the level of racing at the nineteenth edition of the Imana Wild Ride. The mixed team title went to Andre Botha and Christina du Plessis (The Feather & The Sinker) in a time of 14h35.42 ahead of PK and Esthea de Villiers (Synergy) and Seath and Michelle Scowby (DES). Aside from the racing, the remainder of the field enjoyed four days of magic weather and great camaraderie whilst making a valuable difference to the communities through which the race passes through fines and fund raising. Combined with Event two, namely ‘Ride the Wave’ this small field of two hundred participants has managed to raise a staggering sum of nearly one million Rand, which will be invested into furthering the work of the Wild Ride Education Company in providing improved learning facilities along the coastline. RESULTS – Day 3. 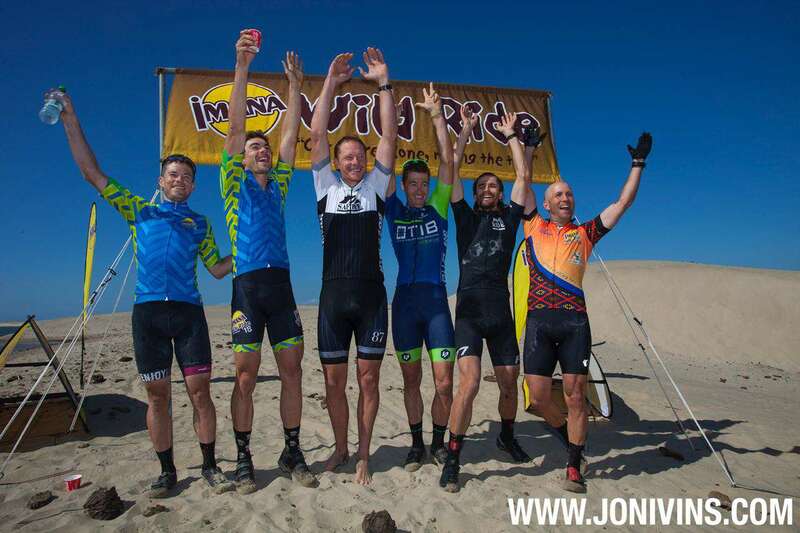 Men: Warren Price & Andrew Hill (Safire/TIB) 2h46, Damon Stamp & Darren Lill (St-iLL Wild Riding) 2h58.17, Craig Woods & Oli Munnik (Skullet) 3h00.17 Mixed: Andre Botha & Christina du Plessis (The Feather & The Sinker) 5h05.48, Ian & Jane Seggie (Seggie Squared) 5h33.49, PK & Esthea de Villiers (Synergy) 5h36.32. GC – Men: Warren Price & Andrew Hill (Safire/TIB) 8h07.19, Damon Stamp & Darren Lill (St-iLL Wild Riding) 8h20.00, Craig Woods & Oli Munnik (Skullet) 8h49.58. Mixed: Andre Botha & Christina du Plessis (The Feather & The Sinker) 14h35.42, PK & Esthea de Villiers (Synergy) 15h17.53, Seath & Michelle Scowby (DES) 15h50.40.